John Warner Backus was an American computer scientist who invented the universally used notation to define formal language syntax, Backus-Naur form (BNF), which can be applied to describe the syntax of a computer language in a proper and obvious way and initiated extensive research in function-level programming. He led the group that invented the first widely used high-level programming language (FORTRAN). His notable works are Speedcoding, FORTRAN, Function-level programming, Backus-Naur form, and ALGOL. Backus was born in Philadelphia, Pennsylvania and grew up in Wilmington, Delaware. Buckus belonged to a wealthy family and his parents admitted him at The Hill School; however, his considerably poor grades and consistent failures proved he wasn’t a promising student. He attended the University of Virginia to study chemistry but quit. While as a radio technician in New York City he became interested in mathematics. In 1949, he completed his graduation from Columbia University with a Master’s degree in mathematics, and in 1950 he joined IBM, where he developed the first high-level language for an IBM computer Speedcoding. Later, he made a team for Fortran for the IBM 704 computer. He received several honors and awards during his lifetime for his notable contributions. 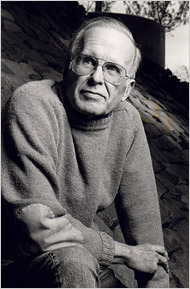 It included IBM Fellow in1963, W.W. McDowell Award in1967, National Medal of Science in 1975, Computer History Museum Fellow Award in 1997 and many more. Richard Henry Bolt, The World’s First Internet Millionaire?